Covered in the morning meeting and see the other email. Pis take care of this. See attached. 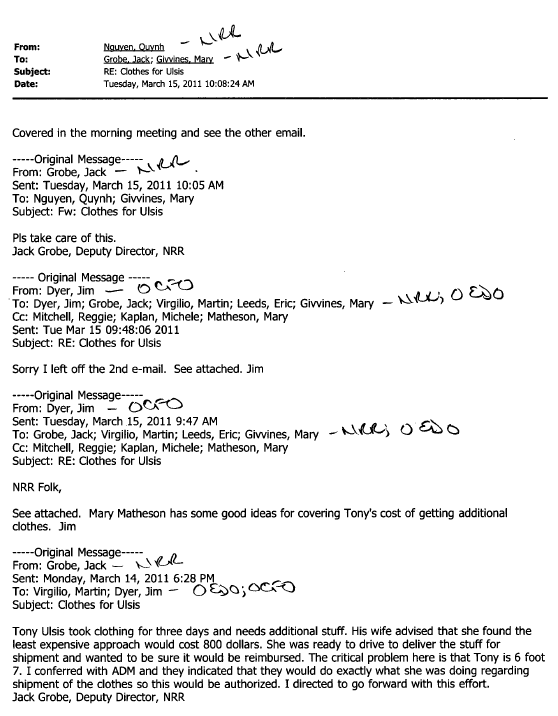 Mary Matheson has some good ideas for covering Tony’s cost of getting additional clothes. 7. 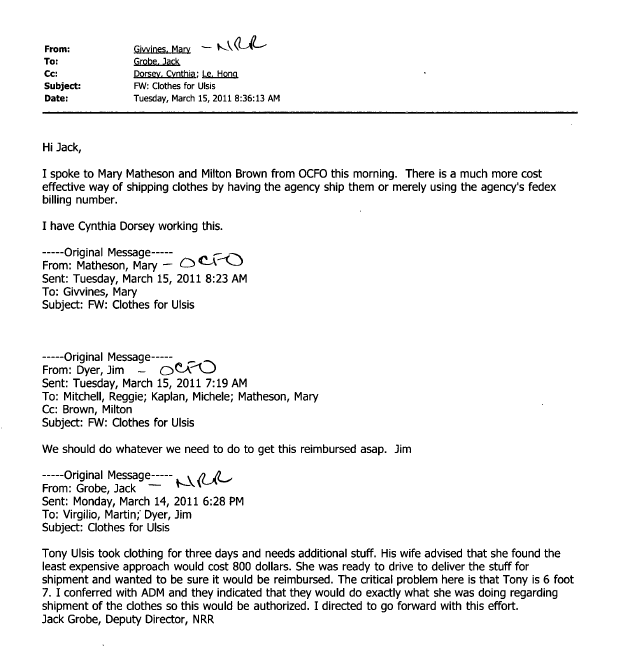 I conferred with ADM and they indicated that they would do exactly what she was doing regarding shipment of the clothes so this would be authorized. I directed to go forward with this effort. I spoke to Mary Matheson and Milton Brown from OCFO this morning. There is a much more cost effective way of shipping clothes by having the agency ship them or merely using the agency’s fedex billing number. I have Cynthia Dorsey working this.